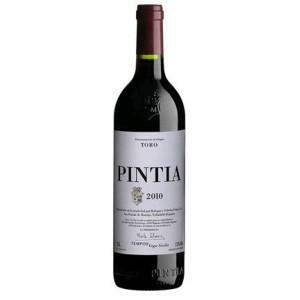 Bodegas y viñedos Pintia is the maker of this Pintia 2010 (£46.67), a red wine from Toro produced with tinta de toro, tempranillo and tinto de toro from the 2010 vintage and has an alcoholic strength of 15%. 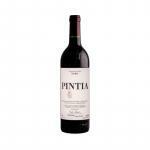 The Pintia 2010 is the ideal red to combine with ox and spanish cuisine. 4,2 of 5 points is the average score of this red according to Uvinum users while experts give the following evaluation: robert parker: 95 and peñín: 94. 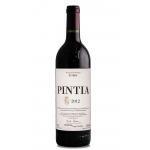 Pintia 2010 gives us all the subtlety and elegance that the Tinta de Toro grape variety is able to offer. Complex, meaty and structured, this wine Vega Sicilia shows all the great work done in Toro with a vintage where weather conditions have also helped find a perfect balance between alcohol and fruit. R. Parker already called "classic" to the great sophistication. - View: Pintia 2010 is a deep cherry red color with violet edges. - Nose: fruity aromas (ripe red fruit, blueberries, strawberries, blackberries), notes of aging and fine woods. - Mouth: intense, powerful and persistent in the mouth wine. AGING AND DEVELOPMENT: Vines planted in vessel between 40 and 60 years on average. 100% malolactic in barrel. Crianza between 13 and 14 months in new oak barrels 70% French (Nevers) and 30% American, plus two years in bottle prior to marketing. WINE PAIRING: Red meat, stews, duck and game dishes. The Pintia Toro is just so good. Great colour. Fantastic smell of roses. Subtle licorice flavours. We enjoyed a glass of it with starters before dinner. - Nose: elegant, fresh with a fruity floral nose and the time. I recommend to taste it with prosciutto. We drank it at a hangout with friends. It showed a red brown colour. Leather and tobacco. It has a good entry. Classic red cherry color of a 2010. Smells like cedar wood or pine tree. I liked the Pintia Collita, although it tasted a bit rough. The best wine of the family Pintia. It is a great wine. 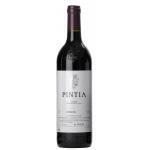 If you want to buy Pintia 2010, at Uvinum you will find the best prices for Toro red wine. You can buy it at Uvinum, comfortable from your couch and with all the guarantees. We bring you the largest catalog of more than 59.000 products which makes us the leading marketplace for wine, beer, and spirits in Europe thanks to more than 38.000 customers who shop at Uvinum.